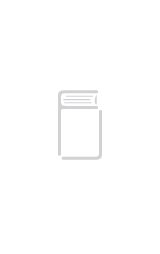 Product description: JahanERumi is written by Raajkumar keswani and published by . 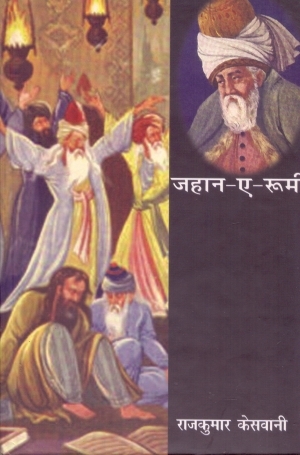 Buy JahanERumi by Raajkumar keswani from markmybook.com. An online bokstore for all kind of fiction, non fiction books and novels of English, Hindi & other Indian Languages. Get 10% Cash Back Upto ₹50/- on Every Purchase, Pay Online. 50% Cash Back Pay Via PayPal. Get 50% Cash Back Upto ₹200/- on Your First Purchase Via PayPal. Generally Delivered in 3-5 days. Get this book outside India? Join ‘First Club’ for free shipping & many more offers. Read E-books on our android app at lowest price. 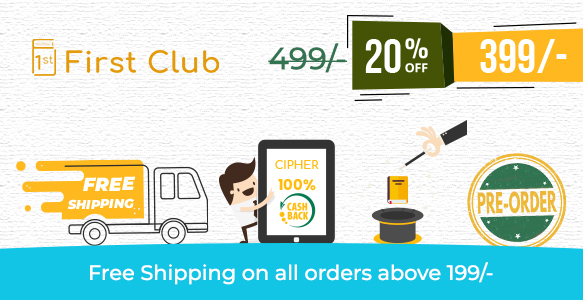 Free shipping on all orders worth 199/- & more on books marked as ‘FIRST’. Under ‘Shipnil’ offer you can buy two copies of any book for free shipping. Shipping will be chargeable for more than two copies of same book. ‘First Club’ membership comes with 100% cash back. Join ‘First’ & get cash back of ₹400/- on e books at app markmybook. Join now & redeem coupons anytime throughout the year. Get additional 5% cash back on all forthcoming titles. Upon Pre-order titles every ‘First’ member will get additional 5% cash back. Cash back coupons can be redeemed anytime during the year. Be the first to avail the Sale benefits. It will be a premiere Sale for ‘FIRST’ members. Sale offers will open one day in advance. So What are you thinking for! Most of the books are marked First and are available for ‘Shipnil’ offer of free shipping however some titles may not be available in this offer. Shipnil offer is applicable on total book value of 199/- or more than that for all the books marked 1st. Magic deals are the exclusive deals & discounts offered by markmybook, seller partners and associates. Magic deals will appear at regular intervals First members will be notified but are subject to a limited stock only. Zero Cost i.e. 100% cash back is applicable on purchase of e-books at app markmybook. First members will receive multiple cash back coupons in digits of ₹40/- & ₹20/- within 15 days of joining First. These coupons can be redeemed anytime throughout the year. Upon purchase of forthcoming books First members will get a cash back coupon of 5% of the selling price of that book at the time of purchase. These coupons can be redeemed any time throughout the year. 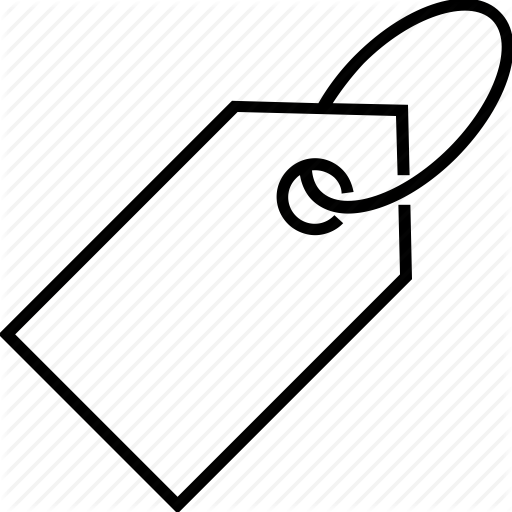 First members will get the sale benefits one day in advance; however the sale offers may change during the sale period. Premiere Sale benefit may or may not be applicable on flash sale put on by seller partners and associates. This membership is irrevocable that means that the fee paid against First membership can neither be refunded nor adjusted in any other purchase. Only the offers and deals First member gets at the time of joining shall be available to them for the membership period. Offers & Membership fee may change as per the marketing and brand promotion strategies of company decided by board of directors.